Big plans are afoot, both in India and abroad, to celebrate the sesquicentennial anniversary of Mohandas Karamchand Gandhi, also known as the Mahatma, to ensure that the memory of the Father of Nation is passed on to the future generations. The relevance of Mahatma Gandhi transcends the boundaries of time, race, gender, caste, creed, religion and nation-states. Little wonder then that 150 years after his birth and more than seven decades since his assassination, Mohandas Karamchand Gandhi is remembered with reverence all over the globe. No religious leader, freedom fighter or politician around the world has inspired as much veneration as the Mahatma. To commemorate his sesquicentennial anniversary, India has taken the lead. Prime Minister Narendra Modi, who leads the National Committee for Commemoration of the Birth Anniversary of Mahatma Gandhi, wants to use the occasion to increase awareness about the Father of the Nation, more than ever. Incidentally, Modi was also born in Gujarat also the birth place of Gandhi, belovingly called Bapu (father). The anniverary celebrations, which kicked off on October 2, 2018, will conclude exactly on the same date in 2020. To ensure that the occasion is not a one-time event to be forgotten quickly, the Prime Minister is keen that the programmes associated with these celebrations be designed around the theme of Karyanjali or Gandhi in action. Included in this itinerary is a global cycling event, a vegetarian food festival, compilation of a ‘Gandhi Anthology’ with write-ups from 150 globally renowned persons and promotion of khadi (the homespun cotton garment) outside India as an idea and health solution, and not merely a garment. Indian missions abroad will also organise a Gandhi Cycling Event on June 3, 2019, on World Cycling Day. An online quiz and a vegetarian food festival in each Indian mission is also on the cards. As many as 150 globally renowned personalities have been identified. 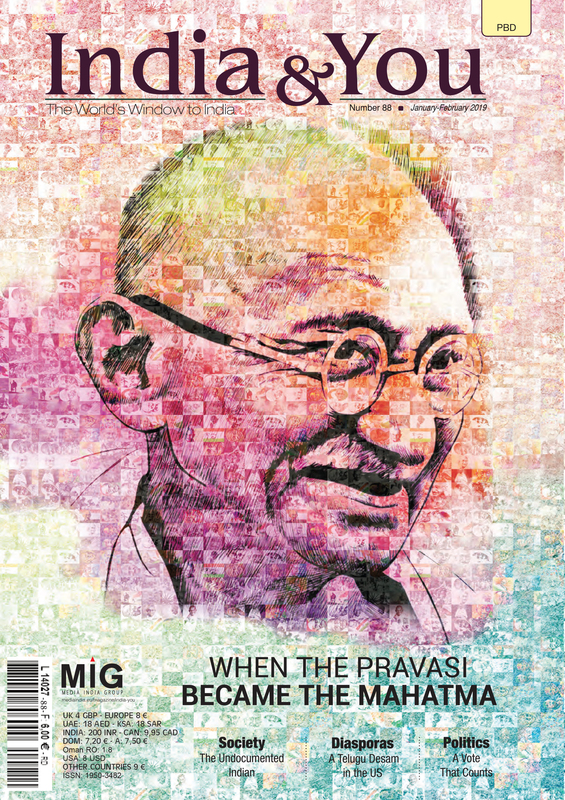 These include political leaders, journalists, artists and business leaders to compile a Gandhi Anthology on the theme What Gandhi means to me in the 21st century. On September 19 last year, President Ram Nath Kovind launched the logo and the web portal (http://gandhi.gov.in/) for commemoration of the anniversary at Rashtrapati Bhawan, the president’s house. The web portal is participatory in nature and organisations will be able to upload their activities regarding commemoration on the website. It also features the unique Gandhipedia, a repository of Gandhian knowledge that is supposed to grow with time with people all over the world feeding it. Government departments, civil society, schools, colleges and universities both in India and overseas are holding events and seminars. Artists will explore Gandhian thoughts. For instance the Indian Railways, the world’s fourth largest network, will run a five-coach Khadi Express train that would exhibit and sell Khadi products. Khadi is intrinsically linked to the Father of the Nation. India’s road transport ministry is set to hold a car rally between Sabarmati in Gujarat and Bangladeshi capital Dhaka in February to commemorate the 150 years, while promoting road safety. It will go through Delhi, Sabarmati, Porbandar, Wardha, Yerwada, Champaran, Kolkata and Dhaka, all sites closely associated with the Mahatma’s life. Similarly, capitals across the globe are bubbling with mega activities to celebrate the event. India has pulled off a global cultural coup of sorts by producing a video featuring musicians from as many as 124 countries in a joint peformance of one of Gandhi’s favourite hymns, Vaishnav Jana To. With the shooting and recording coordinated by Indian embassies globally, the video features 41 of these musicians. Among the surprise performers is a head of state – Baron Divavesi Waqa, the President of Nauru. What is missing from the celebrations is Gandhi’s another favourite bhajanRaghupathi Raghav Raja Ram. A verse in the prayer underpins the great man’s philosophy – all names of God refer to the same Supreme Being, including Ishvara and Allah. A short prayer, it encompasses an important and unique aspect of Indian spirituality – the transcendence of religious barriers. It was sung by Gandhi and his followers as they walked during the 241-mile Salt March to Dandi, protesting against the steep tax levied by the British colonial rulers on salt produced by Indians. In an ever increasing polarised and violent world, where weaker and marginalised sections are getting crushed and climate change pose challenges to planet’s future, Gandhi, his thoughts and actions still inspire hundreds of millions in India and her borders!